The founder of Body Shop was Dame Anita Roddick of England. Roddick was looking for a way to provide for her two daughters while her husband was traveling in South America. She claimed that her previous travels around the world, as well as the eco-friendly habits her mother instilled in her, were the inspirational force behind the business venture. The first Body Shop was opened on March 26, 1976, in Brighton, West Sussex, England. Since then the chain has expanded to 2,600 stores in 66 countries worldwide. They sell more than 1,200 products ranging from skin care, fragrances, bath essentials, and accessories. The Body Shop has five core values, three of which are advocating for animal-free testing, supporting community trade and defending human rights. It has been reported that over 25 million vertebrate animals (like rabbits, monkeys, and mice) are used for testing in the United States alone. For years, Roddick was adamant about making sure that none of the products or the ingredients were tested on animals. They were even the first international cosmetics brand to be awarded the Humane Cosmetics Standard by the British Union for the Abolition of Vivisection. To incorporate fair trade issues into the business, The Body Shop started the program Community Trade in 1987. They work with over 25,000 farmers and producers worldwide who supply their stores with fair trade ingredients (like Shea butter from Ghana), gifts, and accessories (like baskets made by workers in Bangladesh). According to recent reports, nearly 80 percent of their products include one or more fair trade ingredient. 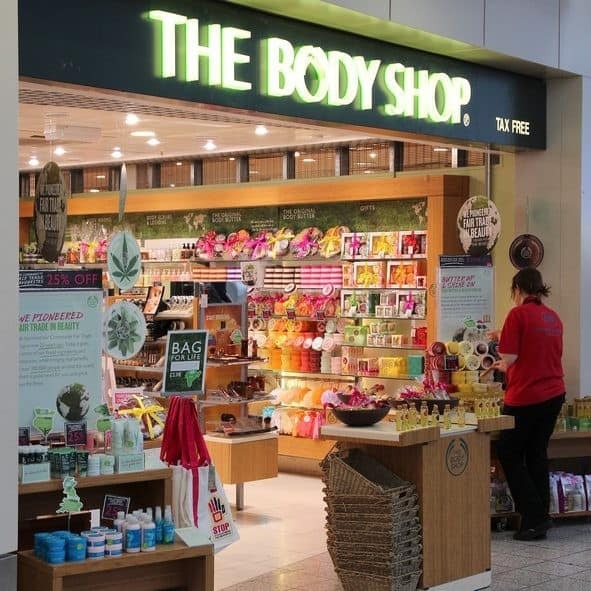 Over the past 36 years, the Body Shop has taken a stand on numerous social causes. They have raised funds for victims of domestic violence. In the 1990’s, they helped raise awareness about HIV and AIDS. The Body Shop has also joined campaigns to stop human trafficking. To learn more about the cause click here. Unfortunately, Roddick, who was awarded the title Dame in 2003, died of a brain hemorrhage in 2007. Although the company is now owned by L’Oréal, it continues to provide eco-friendly, fair trade products to the masses while giving back to the community.